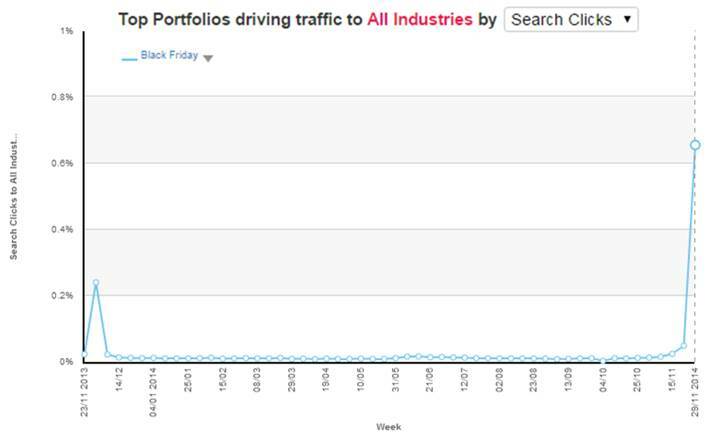 Will GOSF 2014 Deliver vis a vis Black Friday 2014 Trends? Once again, the onset of December marks the arrival of the shopping season across USA and to a certain extent in the UK. Traditionally, Black Friday falls on the first Friday after the Thanks Giving Day beginning with most retailers offering massive discounts encouraging shoppers to shop for the upcoming Christmas season. On Black Friday i.e. 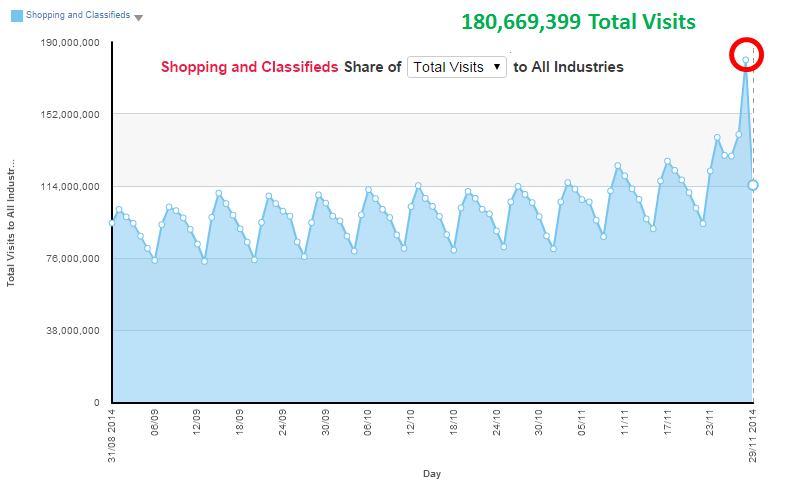 on 28th November 2014, a whopping number of 180,669,399 visits to the Shopping and Classified Industry were recorded. The number was far above the number of visits recorded way above those registered on Christmas 2013 or any other shopping day of 2014. During the week which ended on 29th November 2014 the highly searched keywords were – Black Friday deals and Black Friday while the brands such as Asda, Tesco, Argos, Currys, and Amazon clearly emerged on the top. Other highly searched words included Asda Black Friday, Tesco Black Friday, Argos Black Friday and others. Interestingly, the Hitwise Search Clicks report shows a massive increase in search using “Black Friday” search terms in the year 2014 with respect to the year 2013. In fact, Black Friday this year witnessed an increase of to the tune of 170%. 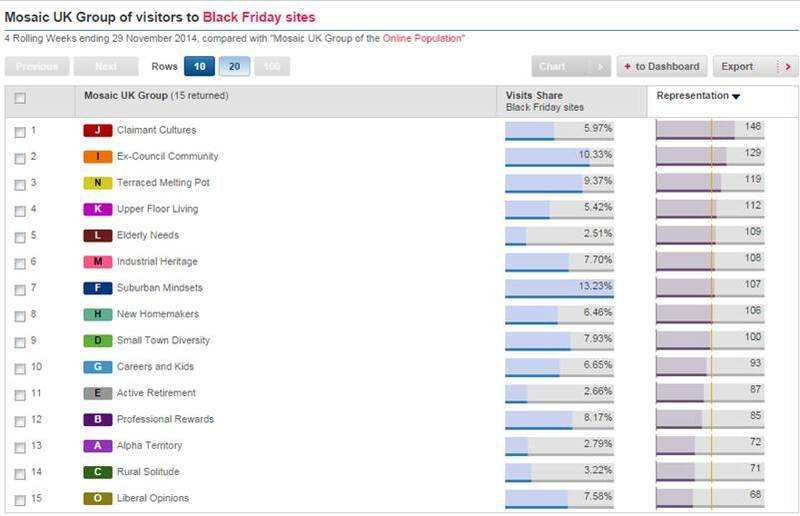 With the week ending on 29th November 2014, the top brands that emerged in the Black Friday searches are Amazon UK, Argos, Asda, Tesco Direct, Curry’s, John Lewis, Hot UK Deals, Very, Tesco and Game. For those looking out for brands wise, year on year trends with regards to search in terms of Black Friday, the top performers were Argos, Tesco Direct, Curry’s, John Lewis, Tesco, Game, Very, M & M Direct, Sainsbury’s and Boots. It is no secret that The GOSF has been inspired by the Black Friday and Cyber Monday online shopping concept so very prevalent in the US of A and now the UK. Coupled with the increasing preference for the yet emerging mobile shopping through smartphones and merchant apps, online shopping in India has moved on to the next level whilst it is still maturing across the broadband based shopping through a PC or laptop. This proves to be a challenging situation for both ecommerce partners and Google with regards to its performance. How are the GOSF search terms placed organically and otherwise? How strong is its association with partnered brands in terms of search variants and which combinations could deliver the desired level of traffic. Is the India ecommerce well prepared to handle the predicted ‘massive overflow/spike of traffic” is what each one of us would like to wait and watch. Having little qualms about its performance this is GOSF’s third season as things are better planned with more than 450 partners and pre party hosted for its hype. Though, its first season in the year 2012 was slightly disappointing with minimum or nonexistent discounts on the offer while its second season in 2013 was certainly well received with the festival being extended for a day. Will the GOSF 2014 perform well? Will it break its existing records? Let’s keep our fingers crossed.